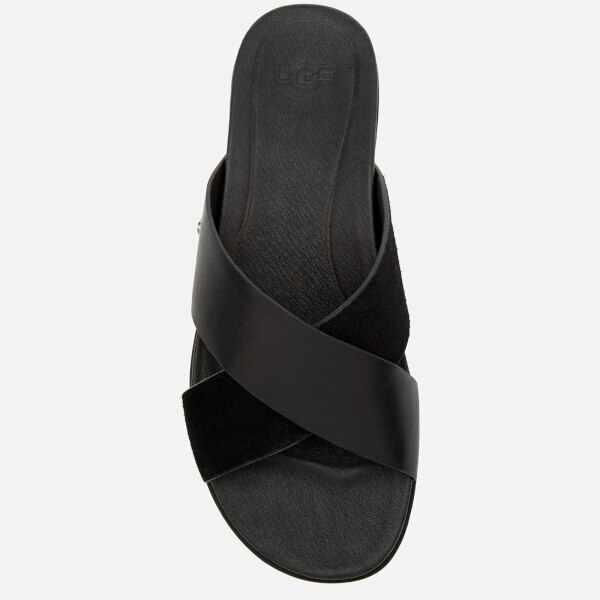 Women’s ‘Kari’ slide sandals from UGG. 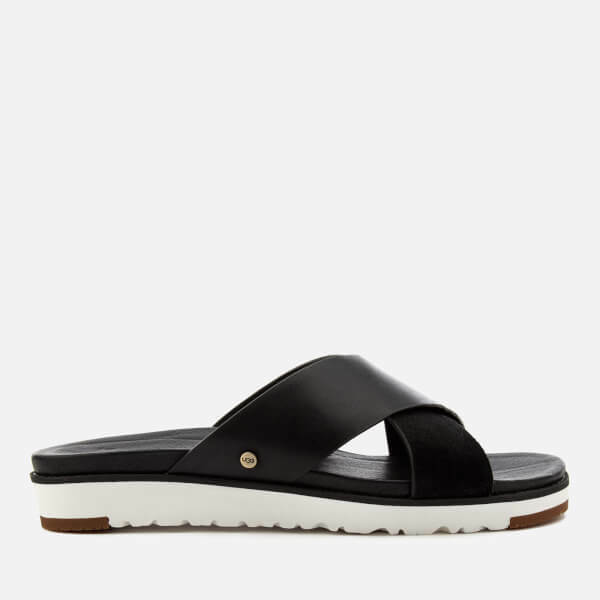 Crafted with black leather and suede criss-cross straps, the sliders feature a memory-foam cushioned, Imprint by UGG™ insole with a leather lining for long-lasting comfort. 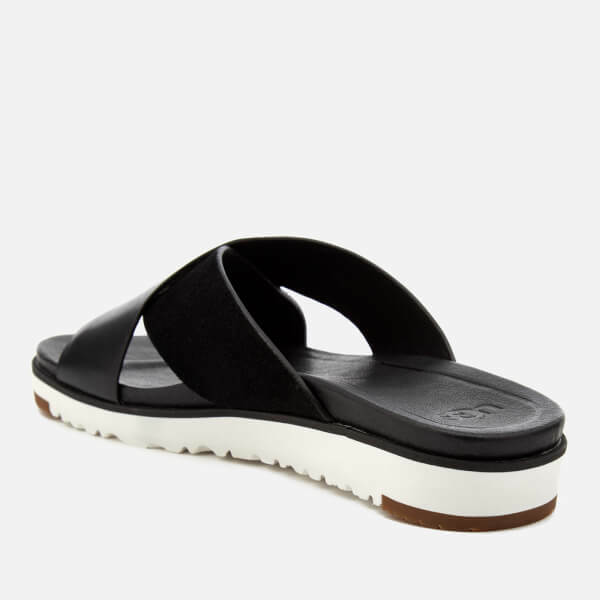 The lightweight Treadlite by UGG™ outsole features a rubber toe and heel for added grip. Complete with a gold-tone, logo engraved stud to the outer side.